In her 17-year real estate career, Veronica Figueroa has had her fair share of failures. Failures that would have made a lot of other agents walk away. But Veronica simply refuses to quit, and her forward-thinking approach has helped her adjust to market shifts and fail forward to become both a dominant force in the Orlando market and a nationally-recognized industry leader. Veronica is the broker-owner of the RE/MAX Innovation Team and co-leader of The Figueroa Team. As the top RE/MAX agent in her region, Veronica and her 15-agent team closed 325 sides in 2018 and were recognized as Most Innovative Team by Inman in 2017. She is one of only 20 agents nationwide on the Zillow Agent Advisory Board, and she speaks across the country for Zillow, NARHEP and Inman Connect. Today, Veronica joins me to explain how her forward-thinking approach led to a beta test with Zillow—and ultimately the 2017 Inman Innovator of the Year award. She shares the obsession with craft that launched her career and the tenacity it took to gain access to REOs after the crash. 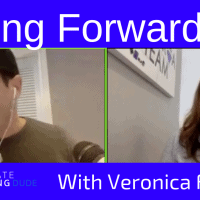 Veronica also discusses the secret to her success with online lead conversion and her important transition from solo agent to team leader. Listen in for Veronica’s take on the compression in commissions coming in 2019 and learn how to fail forward, adapt to market shifts, and thrive despite industry disruptors! Find out more about Veronica and The Figueroa Team at figueroateam.com, learn about her coaching offerings at veronicafigueroa.com, and check out her podcast around husband-wife teams, Ride or Die, at facebook.com/veronicafigueroainspires.